Cyclamen is renowned for its continuous blooms, that keep coming up all throughout the winter season. These special uplifting flowers can last for weeks on end, adding festive charm to any home all season long. Our Cyclamen are LOCALLY GROWN, and some of the most beautiful available. The pictures shown are actual Cyclamen from our most recent crop. 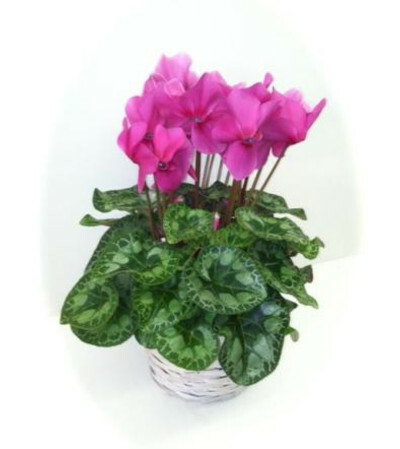 All Cyclamen are dressed with a basket & bow, and gift wrapped for delivery.